Last weekend, I was invited to a fall birthday bonfire. It had been on my calendar for four weeks. But when the day came, it was actually more like winter, a frigid 20 degrees outside. The party still took place and was actually one of the most fun winter nights I have ever had. The stars were incredibly clear and bright. The air was so clear and refreshing. The huge bonfire was blazing, and we all sat around drinking hot cider and hot chocolate. We had a blast and stayed warm. 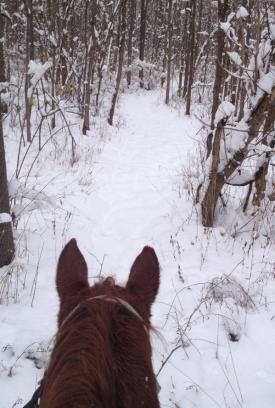 There really is no better way to enjoy the forest in winter than on horseback. Natural Valley Ranch in Brownsburg offers trail rides year-round, weather permitting. Schedule a 30-minute or hour-long trail ride at your convenience. Not a fan of horseback riding? No problem! Visit the farm to see the animals for free or even snag a free pony ride (of course remembering to tip the handler). This year the 2nd annual Avon Ice Rink returns. For only $10 a person, come out to Washington Township Park in Avon to try your hand at ice skating on a synthetic rink! Skate for the first thirty minutes and try the brand-new bumper cars on ice for your second half hour. This is truly a unique recreational destination for many on the west side of Indianapolis and the perfect winter activity for families as it will remain open through February. Here’s another one to ease you into enjoying winter. 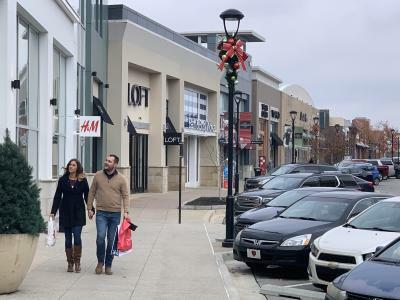 Indulge by shopping at Hendricks County’s outdoor lifestyle mall, The Shops at Perry Crossing in Plainfield. Enjoy the fresh air while popping into your favorite national brand stores as well as some local shops like Sweet Olive & Company and Schakolad Chocolate Factory. Warm up in between shopping by going to a movie, dining in a cozy restaurant or simply grabbing a warm drink with your family and friends. Hiking – Grab your mud boots, layer up, and adventure out to any of our Hendricks County parks. Most of them offer a good mix of dirt trails and paved trails, so all levels of hikers, runners and walkers can find what they need. Keep a nature book, take photographs or simply be present and explore nature. Here&apos;s a list of some of our favorite trails. Sledding – The snow is definitely good for sledding, and we have plenty of it in Hendricks County! A favorite hill is located at Washington Township Parks & Recreation, a popular gathering spot for snow days! 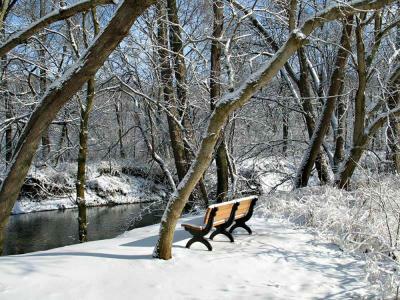 For more places to sled in Hendricks County click here. Walking the dog – Simply walking your pooch is a great way to de-stress and enjoy the great outdoors. Take a new path, visit a new park, or simply take your time and get your blood moving. Here&apos;s some ideas of pet-friendly places to take your pooch. If those aren’t enough to keep you busy until the pools open on Memorial Day, well, maybe you should be a snow bird. As for the rest of us, we’ll be happy enjoying our ice skating and bonfires and chilly winter evenings together, laughing and enjoying life in the cold. We know how to do winter in Indiana because we know spring always comes back around!